Note: If you prefer not to receive email communications from Net Atlantic, unsubscribe here. Also, please take our (Lyris-based) Customer Survey so that we may serve you better. More than seven decades ago, a small aircraft company started in Wichita to do what others said couldn't be done -- build a monoplane with a full cantilever wing, that is, one without supporting struts or braces. When the Cessna All Purpose took off August 13, 1927, the aviation world was forever changed. In fact, Clyde Cessna's cantilever design has been the standard ever since. 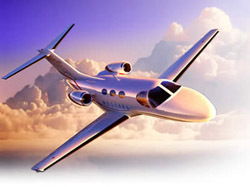 Cessna, now a division of Textron, uses email list hosting provided by Net Atlantic to keep regular contact with their valued customers. As a result, it has been successful in distributing information and building relationships with current clients and prospects. And of course, who can resist an email newsletter from Cessna featuring exciting pictures of their famous Citation, Caravan, and Mustang aircraft flying through the clouds? Visit: http://www.cessna.com . We think it makes for compelling reading. Years ago, co-registration was a "gray-area" strategy used by various companies to aggressively grow their mailing lists. Those who misused the strategy or adopted less than best practices found their reputations at risk. 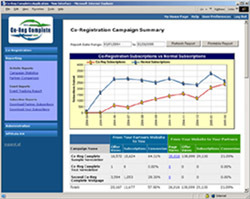 Now in 2006, co-registration is back and much improved. Always considered to be a very effective way to build your mailing list, co-registration is now something every mailing list owner and newsletter publisher should consider. Definition: True co-registration is simply an agreement between yourself and another newsletter publisher for cross promotion. This can often be done without cost to either party. How It Works: You simply place a description of each other's newsletter on your "thank you for subscribing" web page. Each time a person subscribes to your partner's newsletter, he or she is also given the chance to subscribe to yours at the same time. Once the subscription is confirmed (with a confirmed opt-in email), you've got a new subscriber. Costs: Some people pay from 50 cents to $3 per name for an email address. However, many people do even swaps directly with other related companies (newsletters), so it costs them virtually nothing. For example, if you publish a stock market email newsletter, you could do co-registration at a real estate email newsletter site or a precious metals newsletter site, etc. Companies large and small are constantly seeking creative, high-return strategies to increase visibility on the Internet. The quest for a high ranking position seems to be a never-ending process. With most people, there seems to be an endless search for the one answer on how to drive traffic to their website and turn those visitors into buyers. There are countless methods to increase your visibility and revenues. Some are tremendously effective, while others are a complete waste of time and money. Some require an extremely high financial investment, while others require no money, just an investment of time. The goal of any company is to convert website visitors into buyers. Before you can do this though, you must create a value for them. Become a resource for your clients before you are a vendor. This means creating credibility with your potential buyers before you ever ask for the sale; i.e. white papers, how to, etc. One of the most cost-effective strategies to drive qualified traffic to your site(s) is through article writing and distribution to forums, discussion groups and ezines that are specific to your market. Participate in Joint Venture (JV) Campaigns; i.e., one person sells a product and some number of other vendors offer a valuable bonus product. Make sure your backend marketing systems are in place; i.e., an email marketing campaign to keep regular contact with customers while building trust and name recognition. According to multiple research companies, including Larstan Business Reports, articles from destinationcrm.com, and Chief Sales Officer Insights (CSO Insights), Internet marketing will play an increasingly crucial role in lead generation in the coming years. Background: Today's society has already begun to heavily adopt new technologies bringing together the world's market into an ongoing 24/7 business cycle, and the need to adapt new marketing strategies to reach potential customers is becoming a priority. Now that communications can be established worldwide without the hindrance of time and distance barriers, businesses should make use of the efficiencies offered by online marketing. Virtual events can save you significant money compared to the typically higher overhead costs and investment associated with traditional trade-shows, conventions, and regional sales seminars. 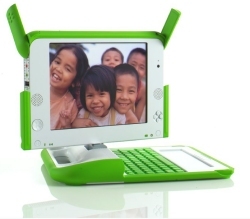 Web-based presentation technologies have significantly grown in effectiveness in recent years. It costs approximately five times less per qualified lead using web-based technologies than traditional in-person gatherings. Prospects tend to prefer Webinars where they can learn as much about a product or service as they would by spending money and time traveling to trade-shows, conferences, and seminars. Response from initiatives is often immediate, and is usually far easier to measure than traditional methods. Companies can reduce their customer acquisition costs by 40-60 percent, through the use of live web events for lead generation. Using the Internet to reach a targeted audience allows a company to connect with a maximum number of people, regardless of their location, time zone, or any other constraint imposed by traveling or meeting in person," says Paul Ritter, senior analyst and research director, Wainhouse Research, LLC, an independent Boston-based rich media communications research and consulting firm. Conclusion: Businesses are beginning to forego traditional marketing methods in search of low-cost alternatives. Internet marketing will lead the next generation of marketing activities by allowing companies to reach more customers and target specific segments, leading to increased sales. The Internet sources below contain useful information regarding Internet marketing, specifically, email list hosting and web hosting. Uploading New Members: One of the best ways to upload many new subscribers or segmented lists based on demographics (gender, state, zip code, etc.) is to upload your members via a CSV file (comma separated data file). It's as simple as composing your data in Microsoft Excel. Just follow our simple instructions. An Easy Way to Backup Your Subscriber Lists: Start from the control panel, 1.) Click on Utilities, 2.) Click on Members, 3.) Click on the very small blue floppy disk icon located on the right side of the screen (just below the "create new member" button). When you click on the blue floppy disk icon, it prompts you to save your list in ".csv" format to your local hard drive on your computer. This file can then be opened in Microsoft Excel or with a text editor. Multiple List Administrators: Did you know that additional list administrators can be added to your list? Just add a member or edit an existing member and give them administrative privileges. To do this 1.) Click on the Utilities tab, 2.) Click on the Administration Icon, 3.) Click on the List Administrators Icon, 4.) Click create new administrator or edit a current administrator. This can be very handy for discussion lists, where various administrators can approve message postings, new member join requests, and in performing other administrative tasks. Hotmail Subscribers: Place the domain netatlantic.com in your safe list. The safe list can be accessed via the "Options" link next to the main menu tabs. More information here. AOL Subscribers: Place the "mailfrom" address in your address book. Yahoo! Mail Subscribers: If the newsletter is filtered to your 'bulk' folder, open the message and click on the "this is not Spam" link next to the "From" field. More info on Yahoo! Other Subscribers: If the newsletter is being filtered, try adding the domain netatlantic.com to your address book or contact list. If this option is not available, try moving the message to your 'inbox' or forwarding the message to yourself. If you use a virtual server name such as list.yourdomain.com, replace netatlantic.com with yourdomain.com in the instructions above. If subsequent messages continue to be filtered, call or email your ISP's tech support and specifically ask how you can be sure to receive all emails from netatlantic.com. Follow their instructions for whitelisting netatlantic.com. More information here. Take our Eight Second one-question online mini poll of what you would like to see in upcoming issues (the poll is Lyris-based). 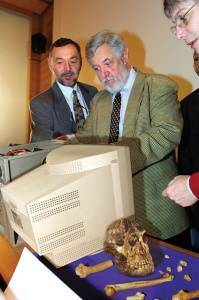 KNOXVILLE, TN - A 1995 email extracted from the hard drive of a recently unearthed Compaq desktop PC offers a tantalizing glimpse into the day-to-day life of a primitive Internet society, said the archaeologists responsible for its discovery. "We're very excited by this find, because only by understanding our email past can we hope to understand our email present and future," said Northwestern University archaeology professor Lane Caspari, who has been leading the dig through the equipment storage area of a Knoxville-area credit union since late April, on Tuesday. "The discovery also sheds new light on the 1990s-an era we know very little about." Written by a "scully666@compuserve.com" and addressed to a "makincopeez@prodigy.net," the writer expresses the ancient equivalent of boredom, asks the receiver about his or her status in their primeval office environment, then refers to the act of sending the email itself. "Nothing going on," begins the email. "What's up with you? Are you going to Mike's b-day thing on Friday? I'm thinking about it. I might go, but I'm not sure yet." Click Here to Read more. Please take a moment to fill out our Customer Survey so that we may serve you better. Net Atlantic has been helping individuals, businesses and non-profit organizations succeed on the Internet for more than 11 years. We offer best-in-class Internet services including Email Newsletter Hosting, Tier 1 Web Hosting, Discussion Newsletter Hosting, and more.